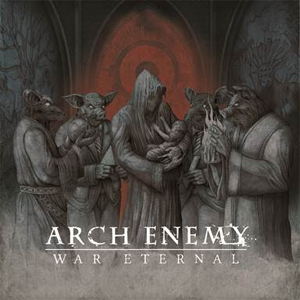 ARCH ENEMY, in the midst of an intensive year of touring in support of their latest release, War Eternal, have announced a new round of tour dates. Headlining dates throughout Japan and South East Asia in March 2015 have been added. Check out the dates below. Michael Amott had this to say: "After the overwhelming positive feedback from the Japanese fans on our recent War Eternal album and the incredible response to our headline set at Loud Park back in October we're super excited about playing the Japan headline tour in March! We'll take this opportunity to play a long setlist, digging deeper into the new album and also some cool surprises! See you in March!" You can check out ARCH ENEMY's full tour itinerary right HERE.